Come down and make some friends! A class for all fitness levels! A friendly bunch of girls with a ladies group chat! 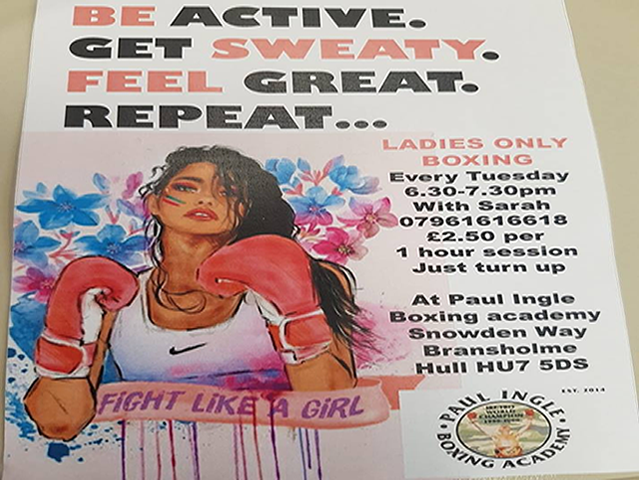 Sessions are held at Paul Ingles Boxing Academy, Snowden Way, North Bransholme HU7 5DS.